When I was 16 years old, I asked my mom if I could have my own phone in my room. For you youngsters (including my daughters), back then most homes has 1 phone line – that means just 1 little ole phone number that everyone’s friends, family, work and school would call to reach everyone in the family. I KNOW, CRAZY, right? How did we survive?? So, back to my story. So for my 16th birthday, I wanted my own phone, with my own phone number, in my own room. And my wonderful mom let me have it. I can remember that phone clear as day. 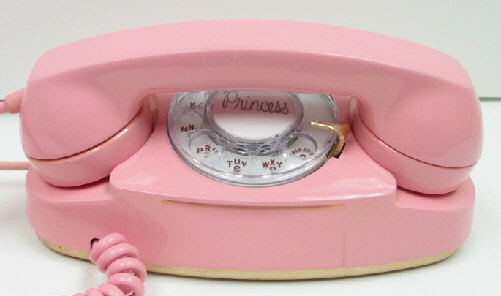 It was a pink Princess phone with a rotary dial. LOL, yea – it was like a dinosaur compared to the iPhone. But it was mine – for $13 dollars a month. I was 16 — I had nobody to call! LOL, but I would spend hours at night talking to my girl friends from high school on that pink baby. Talking about…everything…nothing….then repeat. One of my favorite things in the world! was hearing that little Princess ringing in my room. It meant — somebody wanted me.